The Amon family regret to advise that Chris passed away on 3 August in Rotorua Hospital, New Zealand. Chris had celebrated his 73rd birthday a fortnight prior to his passing. This year marked the 50th anniversary of the victory for Chris and Bruce McLaren at Le Mans when the Kiwi duo won the famous 24 hour race in a Ford GT40. That victory did not go unnoticed at Ferrari and for 1967 Chris was signed to the famous Italian marque. He remained for three seasons during which he won the Daytona 24 hour race, the 1000km of Monza, the New Zealand Grand Prix twice, and the Tasman Championship in 1969. However, consistent car breakages with their Grand Prix cars caused him to reluctantly quit at the end of that year. Having established himself as one of the very best drivers in the world, Chris went on to drive for March, for whom he won the 1970 Daily Express International Trophy at Silverstone, Matra, for whom he won the non-championship Argentine Grand Prix in 1971, Tecno, Ensign and Tyrrell in Formula 1. He also drove for BMW in the European Touring Car Championship. Chris retired from Formula 1 in 1976 and from all motor racing in 1977 when he returned to New Zealand. He married Tish and went back to farming. While motor racing was never forgotten, it went on the backburner as he settled back into life in New Zealand after 15 years away. They were soon joined by daughter Georgie followed by twins James and Alex. For many years Chris was a consultant to Toyota and the winner of the Toyota Racing Series receives the Chris Amon Trophy. 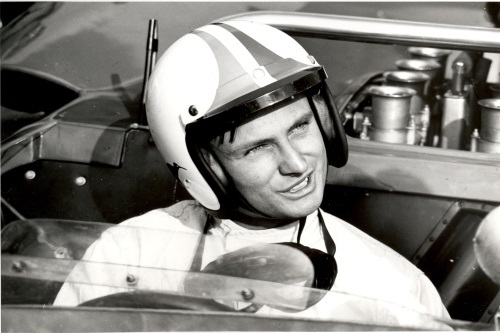 Chris Amon was widely regarded internationally as not only the best driver never to win a Formula 1 Grand Prix, but one of the best drivers never to be crowned world champion. Chris, who became a Full Member of the BRDC in 1967 and in due course a Life Member, was awarded an MBE for his services to motor sport in 1993, and was inducted into the New Zealand Sports Hall of Fame in 1995. Chris battled cancer in recent years but retained not only a close interest in Formula 1, and his very wide range of favourite topics, but also his wonderful sense of humour complete with infectious chuckle. There will not be a public funeral however a memorial service will be organised in due course, date and location to be advised.